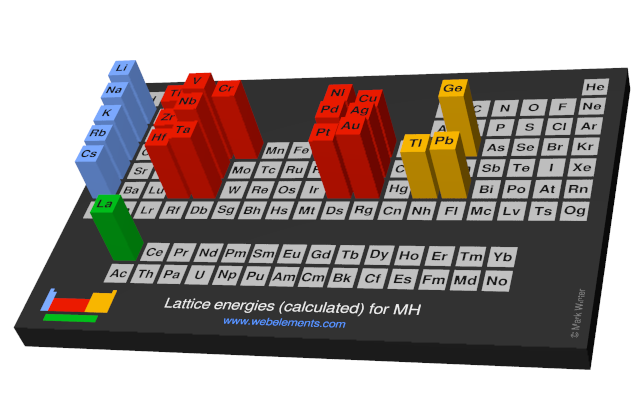 Image showing periodicity of the chemical elements for lattice energies (calculated) for MH in a periodic table cityscape style. 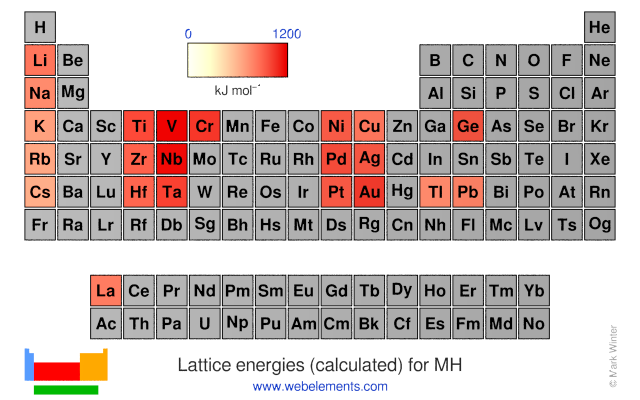 Image showing periodicity of the chemical elements for lattice energies (calculated) for MH in a periodic table heatscape style. 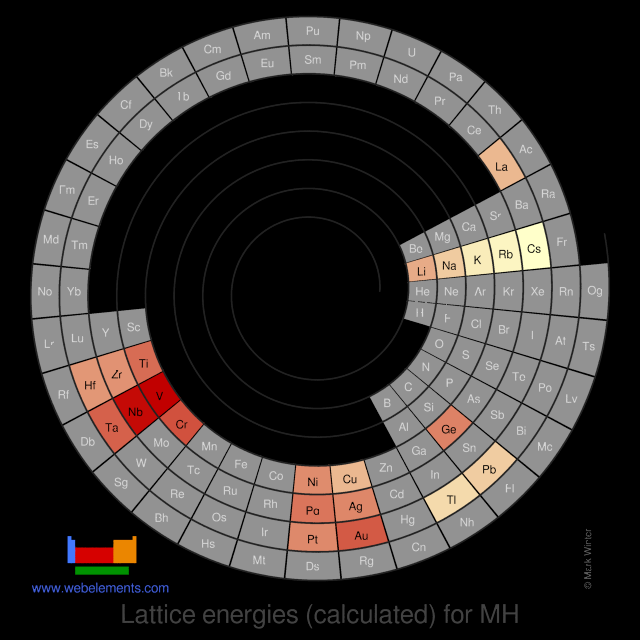 Image showing periodicity of the chemical elements for lattice energies (calculated) for MH in a spiral periodic table heatscape style. 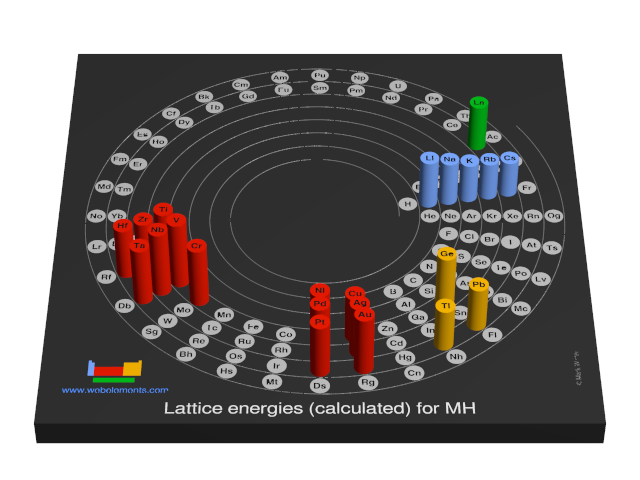 Image showing periodicity of the chemical elements for lattice energies (calculated) for MH in a 3D spiral periodic table column style. 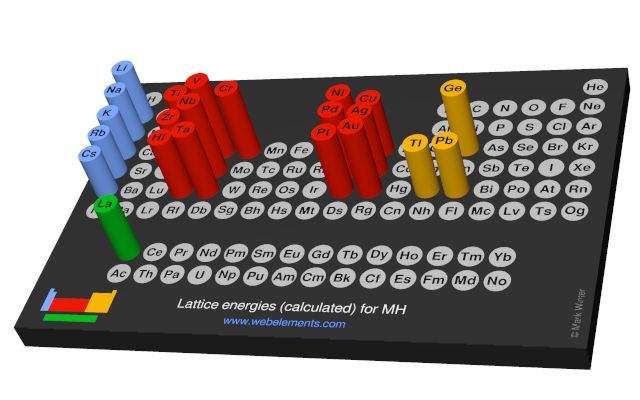 Image showing periodicity of the chemical elements for lattice energies (calculated) for MH in a 3D periodic table column style. H.D.B. Jenkins in Chemical Rubber Company handbook of chemistry and physics, CRC Press, D.R. Lide, Ed., Boca Raton, Florida, USA, 79th edition, 1998..